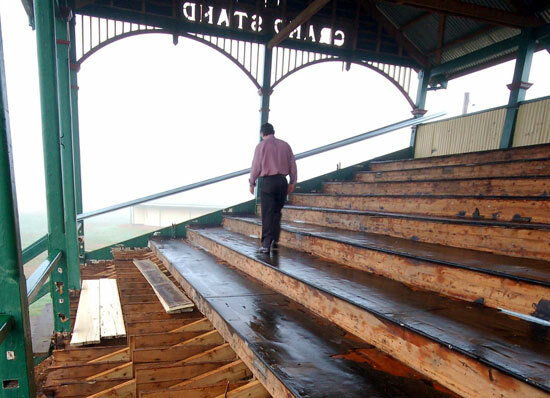 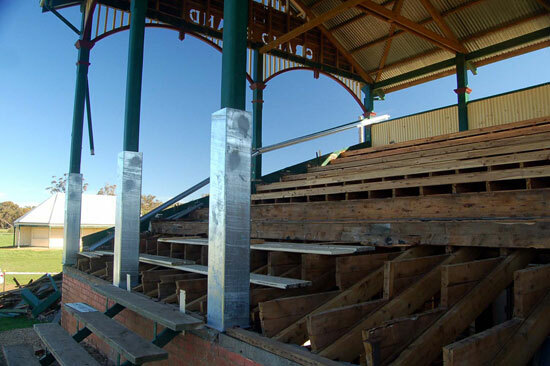 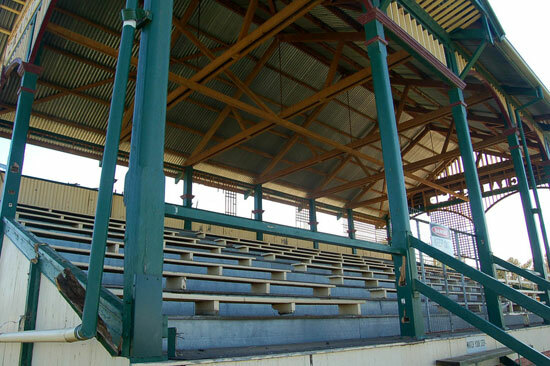 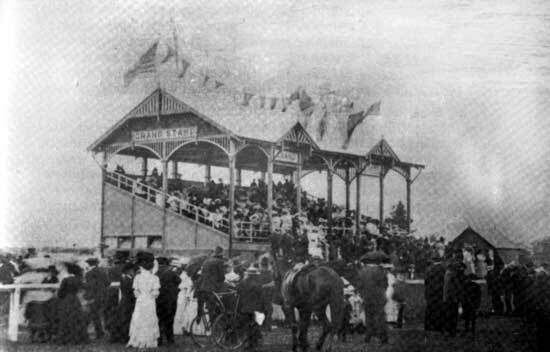 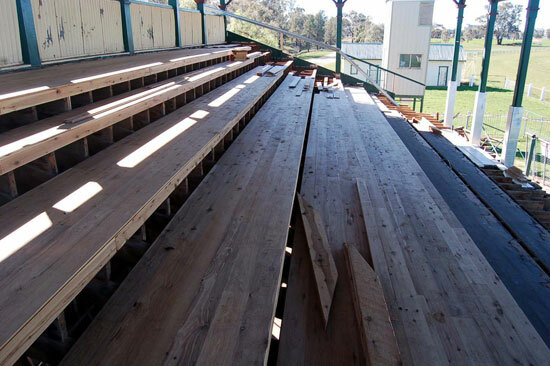 This fine old example of a timber grandstand, built in the 1890s to coincide with Queen Victoria s Diamond Jubilee, fell victim to vandals and decay. 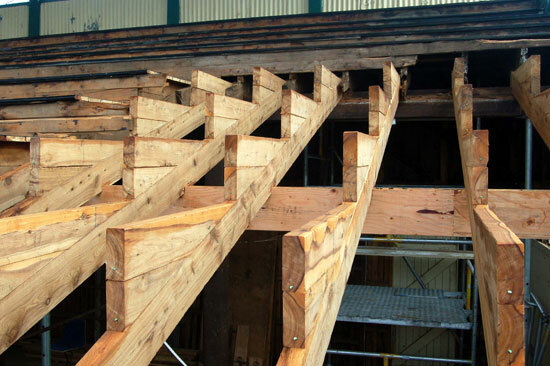 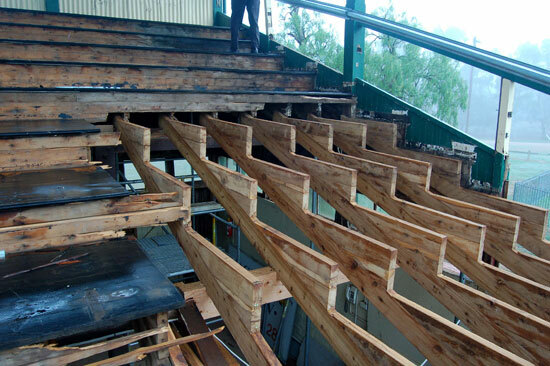 After a hundred years of weather, the timber work had become riddled with termite damage, rot and breakage. 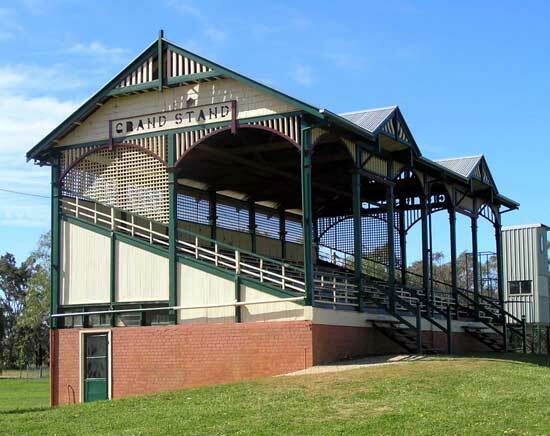 But with local financial support and with a State heritage grant in 2009, the structure is now carefully repaired and ready for the next hundred years. 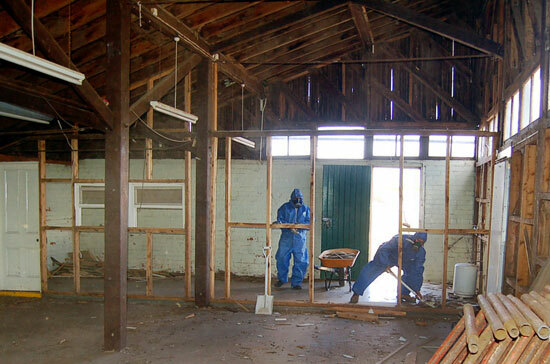 You have to fix up historic buildings every hundred years, or else they disappear forever.